Every season Lee's Summit JR Basketball Association needs to assign approximately 1400 youth athletes to teams in 15 divisions across 2 Leagues. Managing 8 drafts is challenging enough. Once the drafts are complete, the team assignment data needs to be entered back into SportsEngine, their League Management System. Individually "rostering" players post draft can take hours. How can OnlineDraft help? 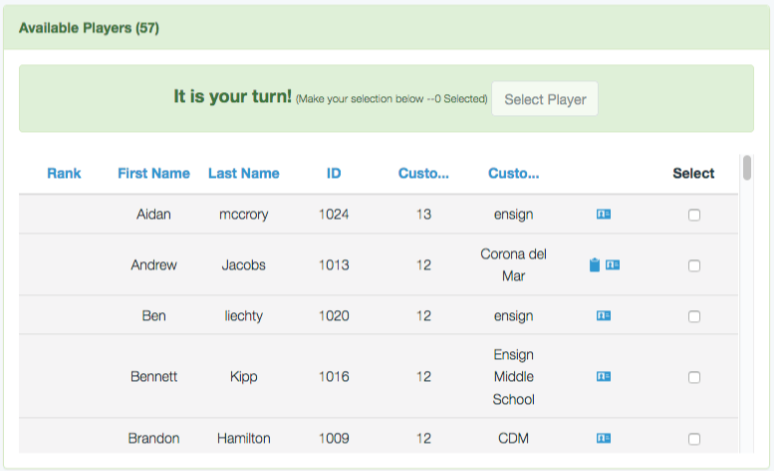 OnlineDraft was designed to simplify and enhance the draft process for sports leagues. Lee's Summit JR Basketball Association started by using OnlineDraft to manage their 8 drafts. With OnlineDraft, the process moved much quicker as administrators could pre-enter coaches' kids and "buddy picks". In addition, with all the coaches being able to access the draft in real time, OnlineDraft avoids the question "hey, has that kid been draft yet?" as everyone has an up-to-date list. With their draft process greatly enhanced, Lee's Summit JR Basketball Association incorporated the Integration with SportsEngine to further improve their process. Not only can the administrators import players and teams before the draft, but post-draft, they can quickly and efficiently roster players back to SportsEngine rather than relying on League Reps or Coaches to roster players one at a time. This integration saves tons of time and greatly speeds up their ability to notify parents and distribute practice and game information as well. 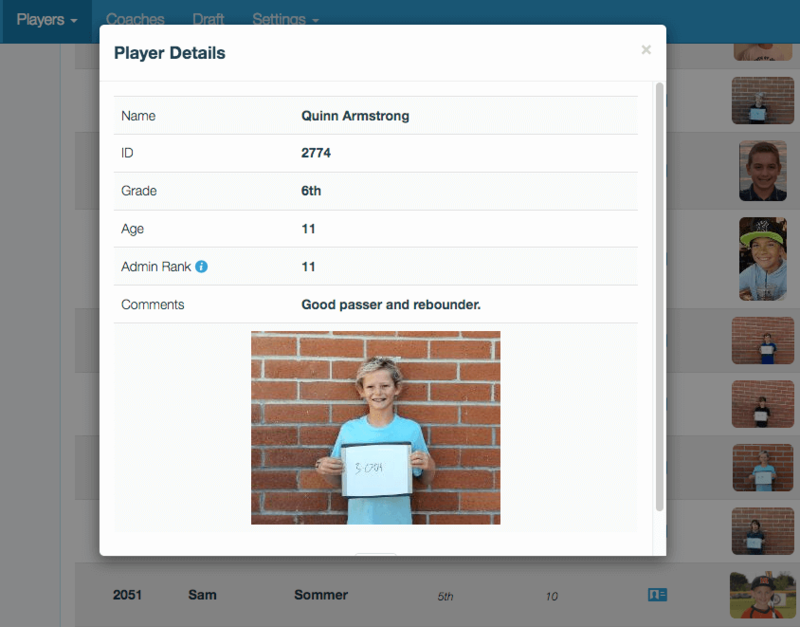 OnlineDraft works great for youth sports leagues / organizations where you need to divide players into teams!